I have some friends who are doing a 365 blog...meaning they will post a picture every day. We like the idea, and the challenge so here goes...Every day, we will try to post a picture of our life here in China. 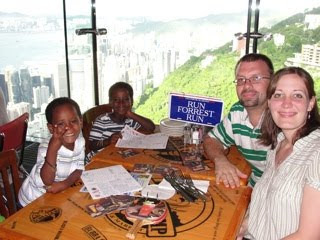 Our family at "The Peak" in Hong Kong, while on a visa run. Thanks to my Mom for the dinner!